One of the marvelous things about wedding photography is that day often turns to night as the celebration progresses from getting ready to ceremony to pictures to reception, allowing for a full range of photos and moments to capture. In this Golden Gardens Bathhouse wedding photograph on a rainy October evening, I took this shot and immediately knew it would be the perfect finale for the couple’s wedding album. This was captured just a few steps from the Bath House with one flash set on the ground behind them. The black and white creates some mystery, some mood and some magic here. Earlier in the day, the wedding color scheme of orange and cream with bridesmaids in slate gray was absolutely stunning with the radiant fall foliage. We took portraits of the entire wedding party in and around Ballard, Washington, including drinks, relaxation and portraits at King’s Hardware. The wedding décor was rustic and simple and included a homemade photo booth with a Fuji Instant camera for candid shots. An especially sweet touch was that the ceremony was shared via FaceTime so the military-based brother and sister-in-law in Turkey could enjoy the wedding from afar. The Golden Gardens Bathhouse is located at Shillshole Beach with views of Shillshole Bay Marina, Elliott Bay and the Olympic Mountains. Built in the 1930s and recently renovated, the spectacular waterfront location offers serenity, sand, sailboats and proximity to Seattle. From sweet to sweaty, the dancing at the reception was wild and loose, including several guests going way, way down low to perform the limbo. 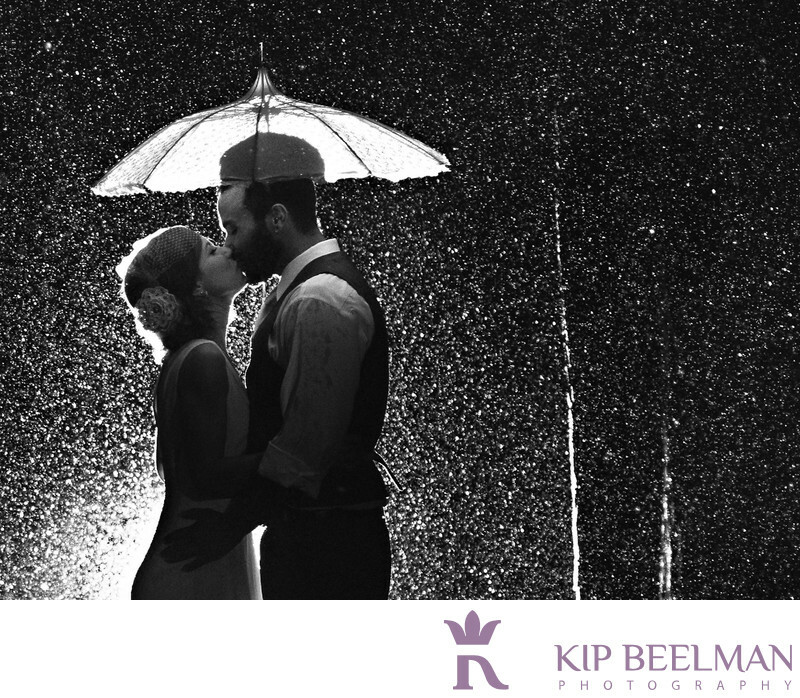 Taking a break from the action, this couple enjoyed a quiet kiss on a romantic rainy wedding night. Location: 8498 Seaview Pl NW, Seattle, WA 98117. Keywords: Beach Wedding (9), Low Light Wedding (12), Rainy Wedding (3), Seattle (111).